Stevens’ presentation will provide an overview of how she approaches an animal who is stressed or leery of touch. She will also discuss the benefits of touch and demonstrate at least three introductory bodywork techniques for calming dogs and cats. Note: Specific examples will be mostly focused on dogs. This will be an interactive webinar so bring your challenges and questions with you. The importance of body language. How to approach an animal for touch. Tools and methods for success. An overview of Tellington TTouch® training and the benefits thereof. Specific Tellington TTouch® bodywork techniques. Lori Stevens is a senior Tellington TTouch® practitioner for dogs, cats, and other animals as well as a certified professional dog trainer – knowledge assessed, a FitPAWS master trainer, a certified small animal (dogs and cats) massage practitioner with a specialty in rehabilitation, and is certified in canine massage by the National Board of Certification for Animal Acupressure and Massage. She is also a certified canine fitness trainer via the University of Tennessee. She uses humane, friendly, scientific and innovative methods in an educational environment to improve the health, behavior, and performance of animals. 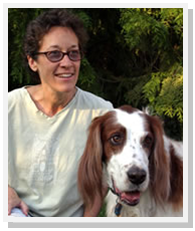 She has an established companion animal practice in Seattle, Washington which offers private sessions and webinars, teaches workshops worldwide and has three DVDs produced by Tawzer Dog Videos.